One may ask what index of dialysis adequacy should be used instead of Kt/Vurea. It is tempting to give a simple formula, easy to implement and easy for bureaucrats to control. If such a formula were really developed, nephrol-ogists would not be needed in dialysis centers - computer programs and dialysis technicians would suffice. 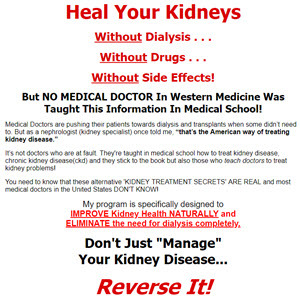 I do not believe that such a formula will be developed any time soon as dialysis is a very complex procedure. The use of rigid, quantitative guidelines (e.g., spKt/Vurea of 1.3 per dialysis) assumes that all patients behave identically in response to therapeutic maneuvers, like the mean of the group, but this is not true . Medicine is still an art, not exclusively science; the individual approach assumes that there are differences among patients which require adjustment of the dialysis prescription for each patient based on clinical symptoms and signs. It is better to use clinical judgment instead of misleading formulae. During the early years of chronic hemodialysis, the definition of adequate dialysis was based on the two essential goals of dialysis: eradication of signs and symptoms of uremia, and rehabilitation . In the early 1970s, the definitions were based on a mixture of resolution of clinical symptoms and laboratory data [68, 89, 90]. This approach of assessing adequacy is subjective, requires very careful monitoring of patients, and is time-consuming, but it is relevant for the individual patient. In this context I would like to cite Ronco's  formula for a general approach to dialysis, MDt/P, where MD is the doctor and t/P is the time spent with the patient. In the 1970s it was considered obvious that an absence of uremic symptoms predicted low morbidity and mortality. Does it hold true in the 2000s? The DOPPS found a strong association between lower scores for the three major components of health-related quality of life and higher risk of death and hospitalizations in hemodialysis patients . In another DOPPS report, physical functioning was better in Japan and Europe than in the US, where there is the highest mortality. Particularly striking was the high percent of comorbidities related to hyper-volemia, such as hypertension, congestive heart failure, and dyspnea in patients dialyzed in the US, where the duration of dialysis is the shortest .